I was in your class years ago. I wanted to drop out of school because I couldn’t figure out why the President didn’t just eliminate laws he didn’t like. It seemed like Common Sense. He was always talking to this group of people called congress and trying to persuade them. It was like Arguing with Idiots. "Persuade them?" I thought. "He’s the president. Isn’t that like a king?" On my potential last day of class, you started talking about the branches of government and gave several great branches of government lesson plans. It finally made sense. I now teach others about the Constitution and branches of government. P.S. Could you share those branches of government lesson plans with everyone via the internet? Sure, Glenn. Maybe you could send me a Christmas Sweater as payment. Too often, teachers (including myself) get too cute. We convolute basic principles when students need purity. If you’re teaching the branches of government, especially to high school students, without reading from the United States Constitution, you’re doing them a disservice. Anyone who’s ever taught high school, however, realizes that many students won’t understand it. That’s why we do activities. Try this one. Break students into groups of four: 1/3 of the group should be assigned the legislative branch; 1/3 of the groups should be assigned the executive branch; 1/3 of the groups should be assigned the judicial branch (we’re assuming that students understand the basic functions of each branch; if I’m assuming too much, go over the basics with them). Give each group a large slice of butcher paper or poster board. Give them 5-10 minutes (time depends on student engagement) to write everything they know about their assigned branch. Have groups give their paper to the group next to them. Each group should have a new branch of government. Because there is already something written on each paper, they won’t need as much time–3-5 minutes, depending on student engagement, should suffice. Rotate papers one more time. You’ve probably figured out that at this point each group should have the branch of government they haven’t had yet. This last brainstorming session should last about 2 minutes. Hang each poster in the front of the room. Read Article 1 of the United States Constitution. Stop after each section and discuss it. Have a student volunteer to create a new poster in the front of the classroom to write down class findings. Read Article 2 and Article 3 of the United States Constitution. Do the same. It’s a formative assignment with learning, not assessment, as the primary objective (for an insightful discussion on formative and summative assessment, follow the link). You may wish to give a classwork grade based on participation and signs of intelligence. If you desire a summative assessment, try the following. Write a five paragraph informational essay on the branches of government with one body paragraph dedicated to each branch. Write an essay or paragraph explaining how what the Constitution says about the branches of government differs from what they thought. Create a poster for any of the three branches of government, highlighting its most fundamental aspects. 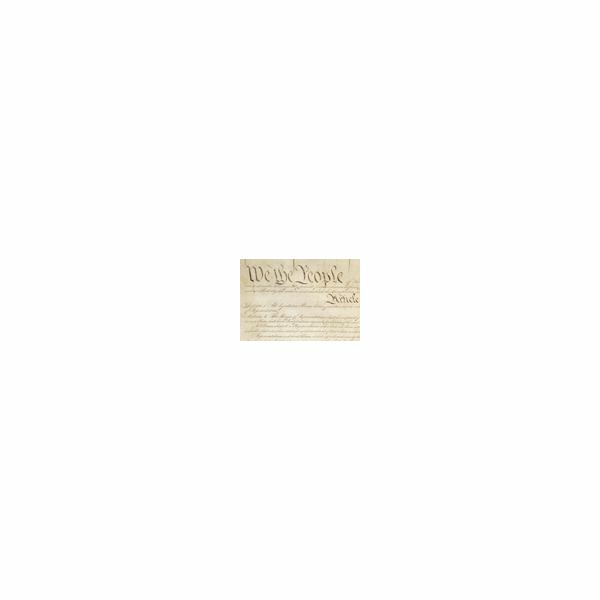 Here’s a link to the full text of the United States Constitution. One of the fascinating elements of the United States Constitution and the federal government is the system of checks and balances. There is not, much to the surprise of many, a specific article in the Constitution that lists the checks and balances each branch has on the other. Checks and Balances can be found in Articles 1-3 of the United States Constitution (with the exception of judicial review, which appears no where in the Constitution but was established by Marbury v. Madison in 1803, not the last time the courts have claimed power not granted them). Instruct individual students to make a chart/visual aide that explains checks and balances. Find examples in the media section: example 1, example 2, example 3 (all charts are in the public domain). Display posters (this is a great display for open house as long as they’re well done). Chart is neat, colorful, and attractive. In addition to the articles in the Constitution, there are amendments which have shaped the role of the three branches. Here’s a quick lesson plan to address the amendments. It can be done as a class, in groups, or individually. Create a 3-column chart: (1) Legislative Branch; (2) Executive Branch; (3) Judicial Branch. Read through the 27 amendments to the Constitution, beginning with the Bill of Rights. Assign each amendment at least one column based on which branch it affects. Make students justify their placement and explain how the amendment shaped the particular branch it affected. 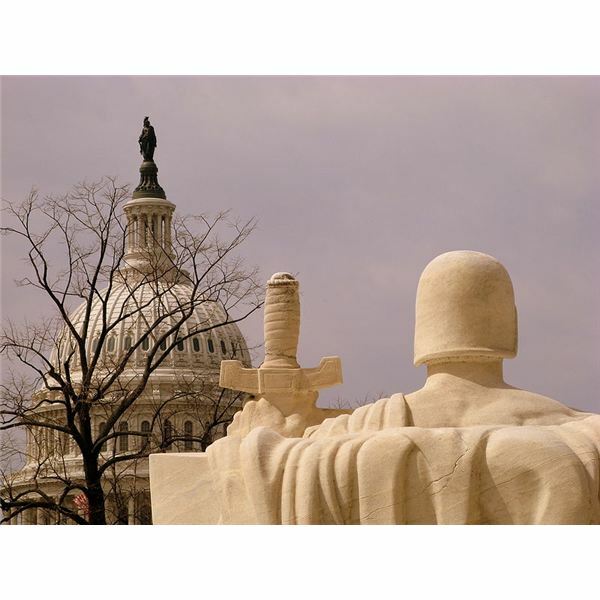 When most people think of the separation of powers and checks and balances, they neglect to mention the separation of powers between state governments and federal governments as guaranteed in the 10th amendment. Teach your students about our nation’s most important document. While you’re at it, teach your elected officials. They seem to have forgotten it.